Everyone loves a rainbow. An auspicious symbol of luck, hope and promise, rainbows signify happy new beginnings. 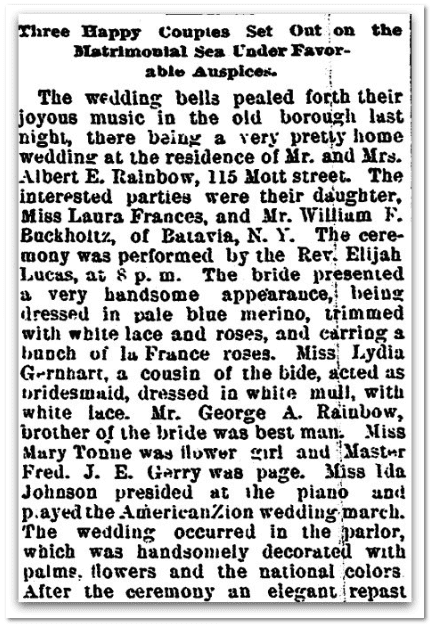 This was especially true for Albert Buckholtz, who married Laura Frances Rainbow in Trenton, New Jersey, in 1896. 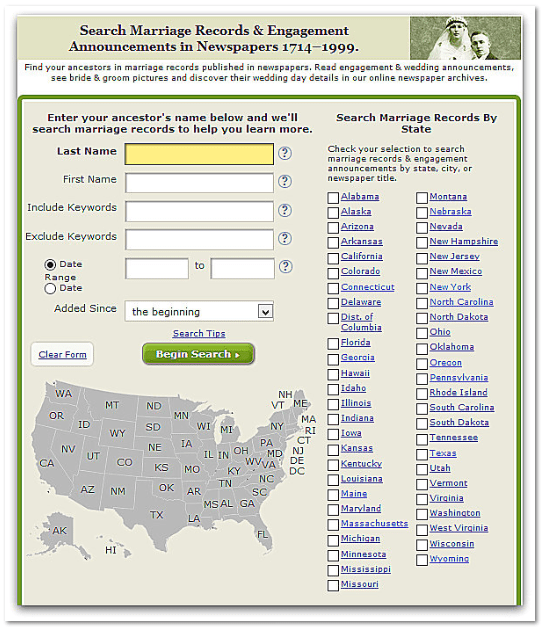 Details of their wedding were published in this newspaper marriage announcement. 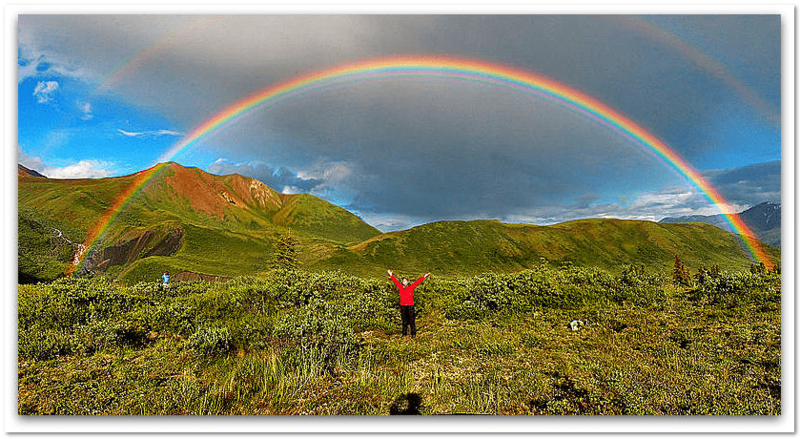 Do you have any Rainbows in your family tree or any other surnames with double meanings? Please share them with us in the comments.